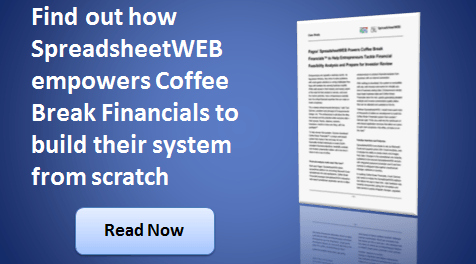 Took only 2 weeks for Coffee Break Financials to fully web-enable their financial tools. Validated data entries with form controls support of SpreadsheetWEB safeguarding the data against unauthorized changes, deletions or scrutiny. Perfect match with the fast-paced world of investment and real-time compatibility of the technology.